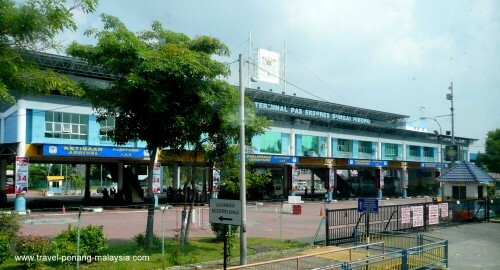 The main bus station on Penang Island is called Sungai Nibong Bus Terminal Penang or Terminal Bas Exspres Sungai Nibong. 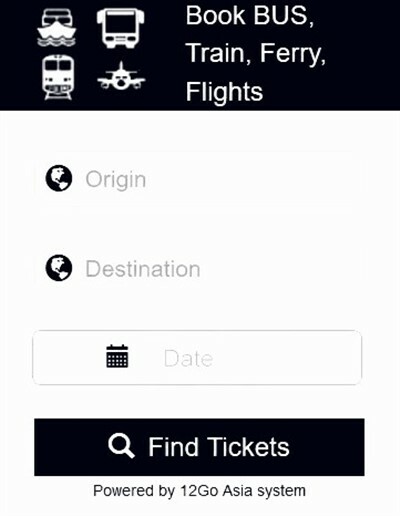 From here you can catch long-distance buses to most major destinations in Peninsular Malaysia and to Singapore. The only problem with Sungai Nibong bus station is that is is quite a long way from where most tourists to Penang want to go to, as it is located close to the 1st Penang Bridge, around 10 kilometres away from the old part of George Town. In our view, if you have a choice, it is much better to catch a bus to Penang Island that terminates at Butterworth Bus terminal on the mainland, then jump on the ferry to George Town, which takes just 15 minutes. Also, if you are catching a bus from Penang, it is much easier to either get a bus from Butterworth or from underneath the KOMTAR building. There are still a number of bus companies that depart from KOMTAR to various destinations, then stop at Sungai Nibong Bus Terminal to pick up more passengers before leaving the island via the Penang Bridge. There are, however, no buses that arrive at KOMTAR anymore! If you do end up catching a bus that terminates in Sungai Nibong, you can either get a taxi into town or a RapidPenang bus from Sungai Nibong to George Town. There are a number of buses that stop at the bus terminal that can take you to KOMTAR, then onto the Jetty, travelling through the old part of town where you will find most of the accommodation. If you want to travel from Sungai Nibong to Batu Ferringhi by bus, you can catch the 102 bus. However, this bus is not that frequent and only operates every 60 - 80 minutes, so you may be better off catching a bus to KOMTAR first, then transfer to the 101 bus to the beach. Please do be aware that if your bus arrives at Sungai Nibong after 11 - 11.30pm and before 5.30am, the local buses stop running between these times, so you will have to pay for an expensive taxi from Sg. Nibong Bus Station into George Town (who put their prices up by around 50% as soon as the buses stop! ).